The Evolution First Aid and Fire Safety Point ensures that your workplace has a clearly visible first aid and fire safety solution in one prominent location ensuring all staff can easily locate products when required. The point includes photoluminescent headers ensure it can be identified in dark or smokey conditions. This point comes with the option of three different size British Standard Compliant First Aid Kits ensuring it is suitable for workplaces with small or large numbers of employees with low or high hazards. This First Aid Point helps you to comply with the British Standard Requirements (BS 8599-1) for the workplace. 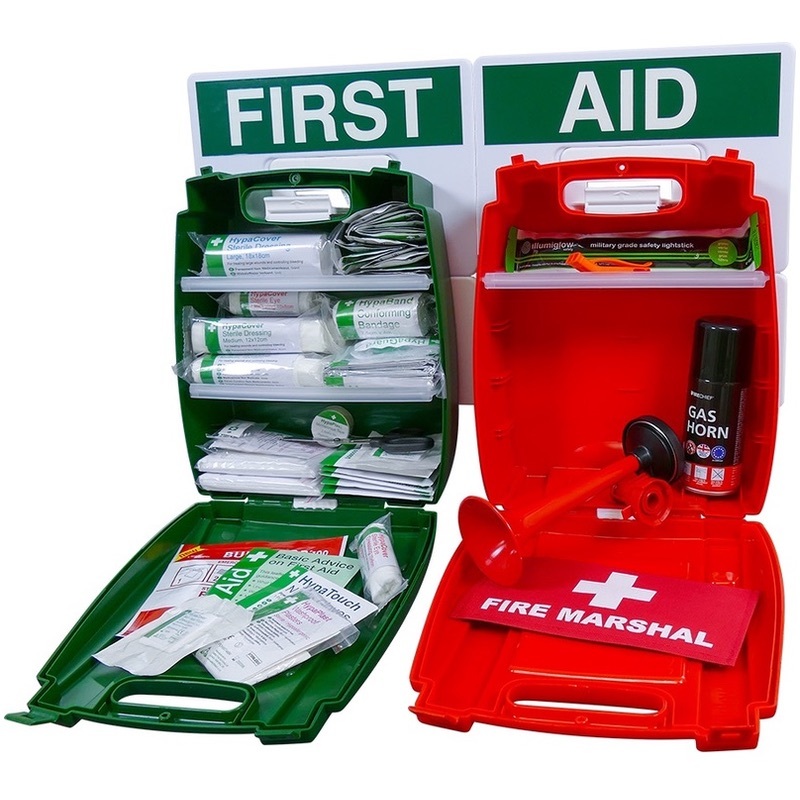 Both kits are supplied in easily identifiable Evolution cases with 'First Aid Kit' and 'Fire Safety' Labels. The brackets have clear labels so it is easy to identify when one of the cases is missing. This point is ideal for use by first aiders and fire marshals.